The NetTech Gross Pollutant Trap is an outfall protection device that captures trash and debris from storm water runoff before it enters downstream receiving waters. 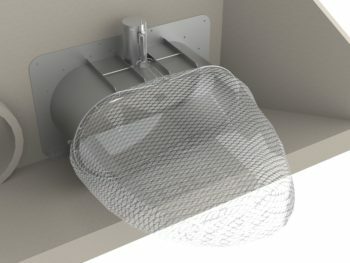 The device includes a stainless steel outfall pipe extension combined with a large net. 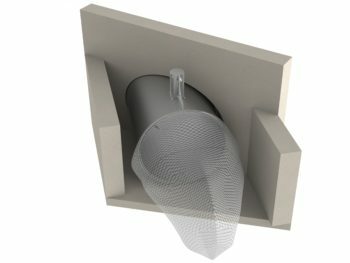 The NetTech incorporates an auto-release mechanism which allows the net component to separate from the outfall when it is completely filled with debris. When full, the net detaches, cinches closed, then travels a short distance downstream by a short tether, allowing unobstructed flow from the pipe. As with any storm water treatment system, the NetTech system requires intermittent maintenance. Routine maintenance is accomplished by emptying or simply replacing the net. Frequency of maintenance depends on the conditions of the site and performance of the system. 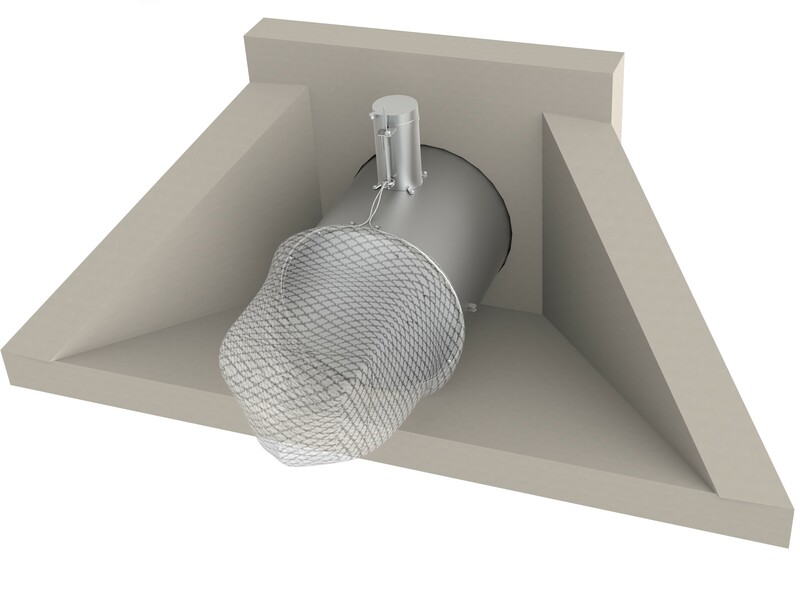 NetTech Gross Pollutant Traps are custom designed to fit each outlet. Contact us to size a unit for your specific storm water outfall. Simple design and durable components make installation and maintenance quick and simple. Water does not stagnate in the net which minimizes vector, bacteria and odor problems. Prevents anaerobic decomposition of debris in the net. Sizes are available for outfalls of all sizes, and are ideal for new or retrofit applications. Debris cannot be re-entrained and travel downstream.